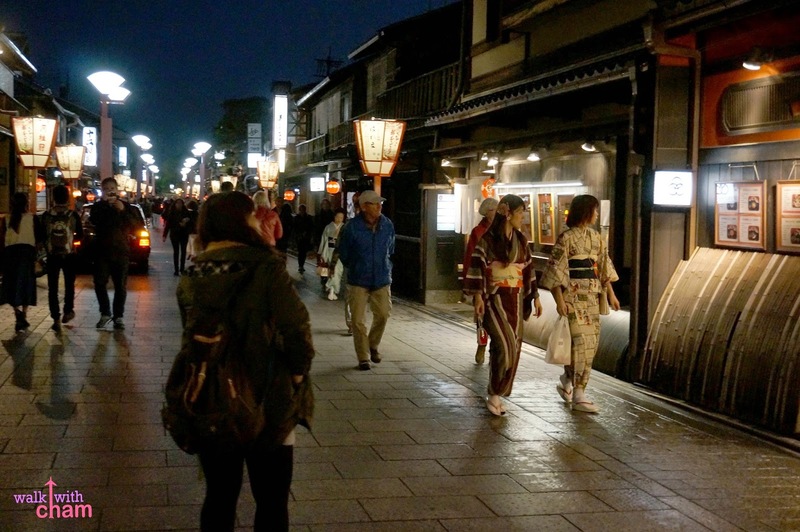 The most popular street in Gion is Hanami Koji. 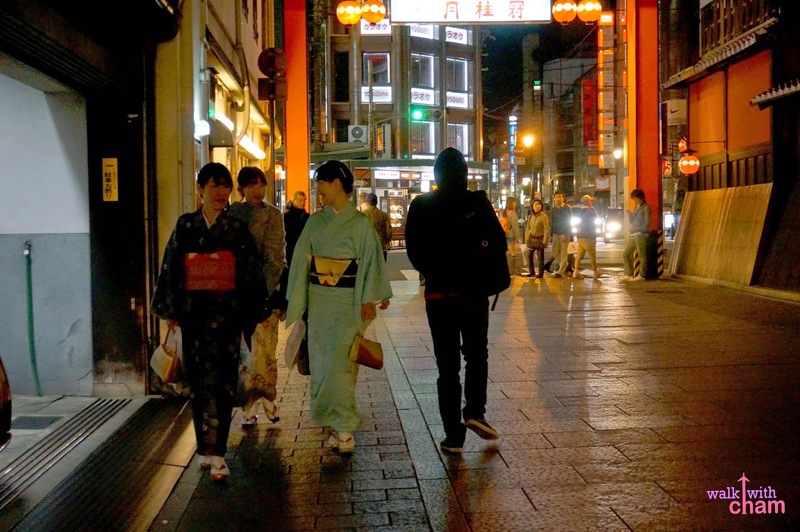 Walking along Hanami Koji street is like walking along an old Japanese street. 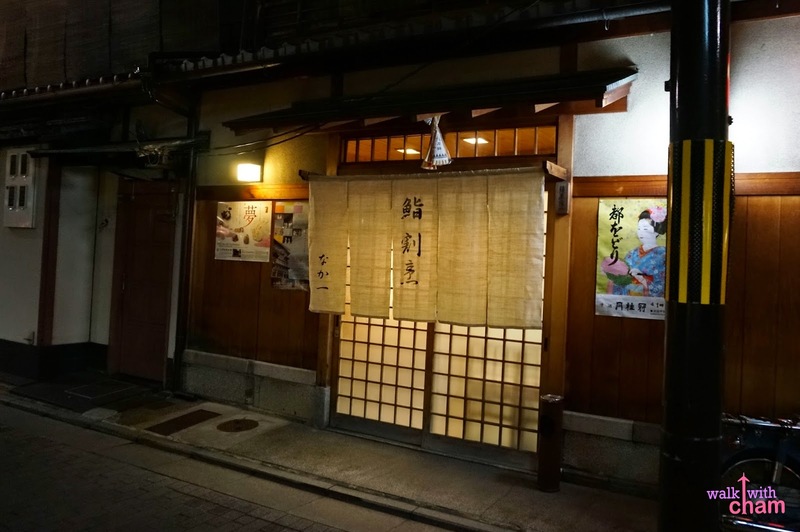 It is a whole area of old Japanese houses turned into restaurants. 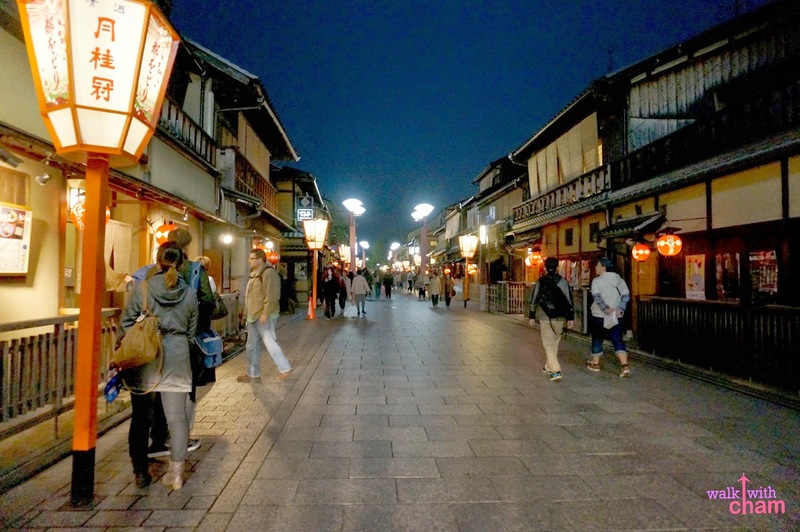 You can find here the most popular and expensive dining places in Kyoto. 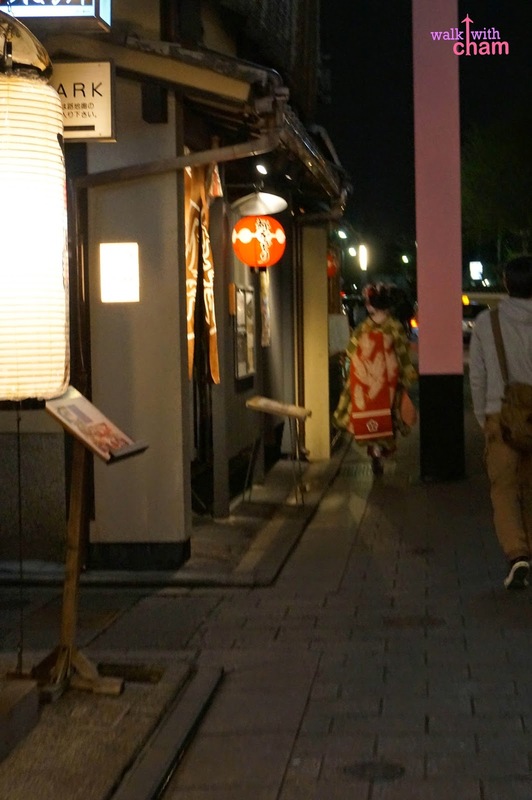 You can also find here ochaya or teahouses where guests are entertained by Geisha & Maiko. 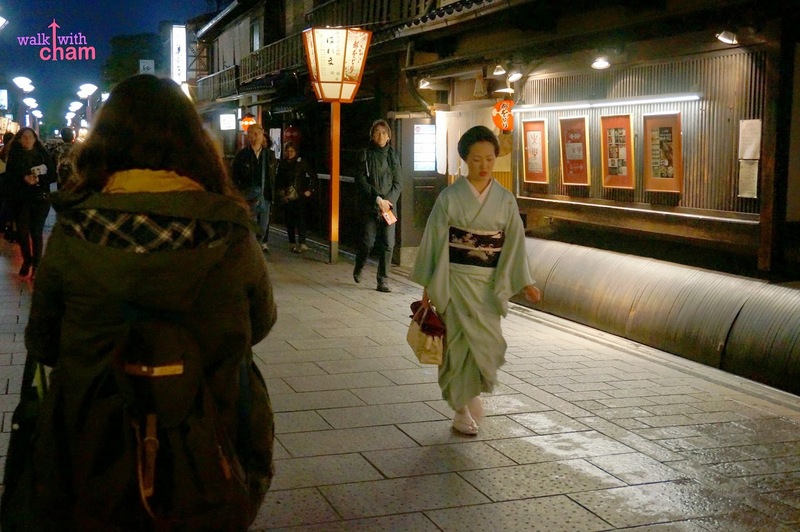 Geisha is better known as Geiko in Kyoto, Maiko on the other hand is Geiko's apprentice. 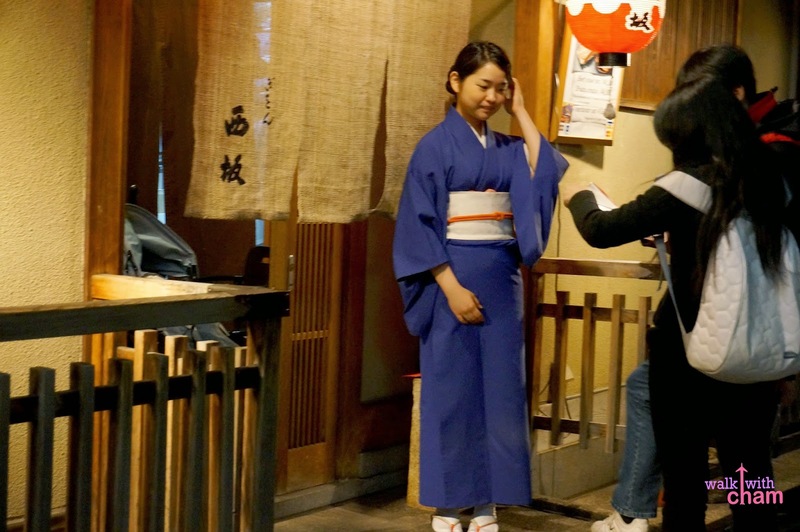 Geiko and Maiko are entertainers in an ochaya, their services are expensive and exclusive so what most tourists commonly do is to spot an authentic Geisha along Hanami Koji. 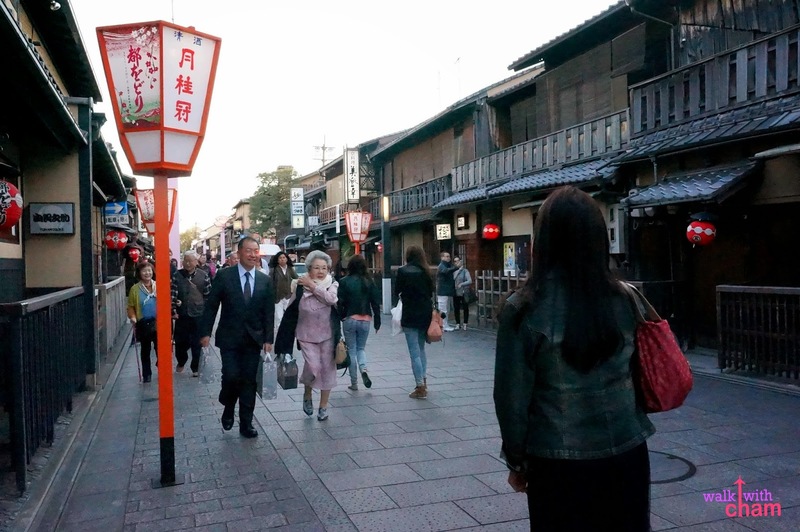 And because we knew how expensive it is to be entertained by a Geiko and Maiko we did what most of the tourists do, hunt - which is more exciting anyway. According to my research they are usually seen from 6pm-7pm while walking along the street on their way to their appointment or a teahouse. 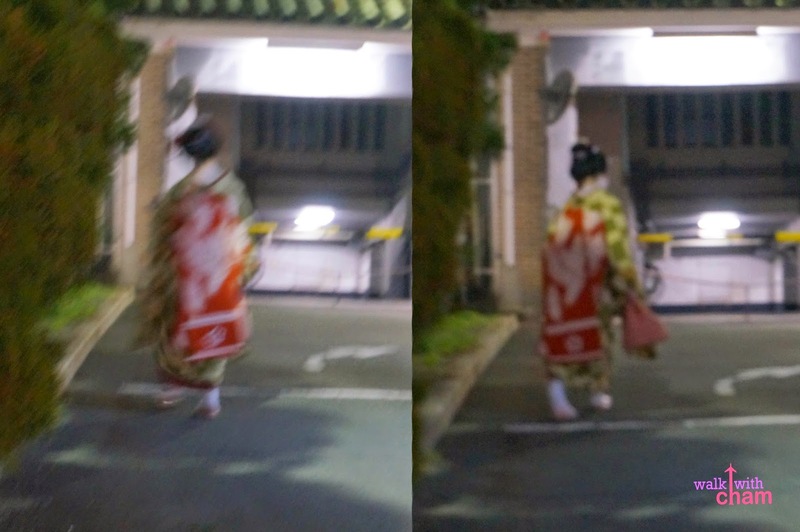 An authentic Geiko or Maiko walks swiftly but with grace and usually avoids tourists paparazzi. 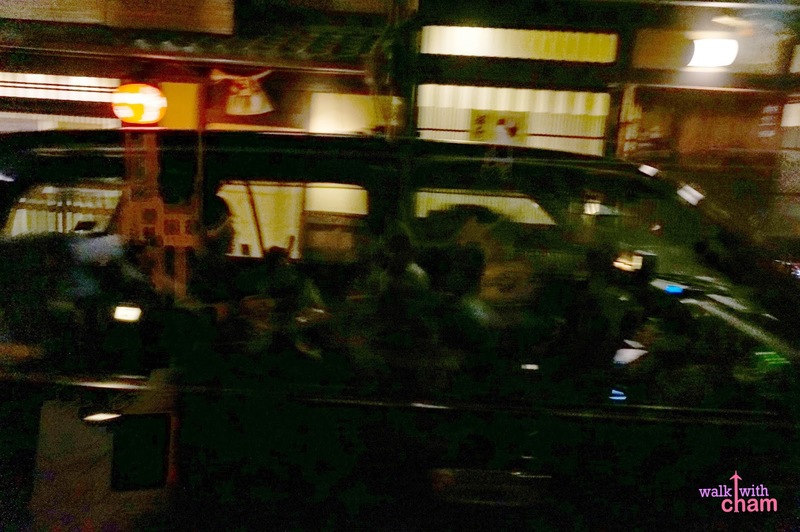 Note: If you see a Geiko or Maiko entertaining tourists for picture taking they are not authentic. Snapshot number 4: Ooooh, this girl is running very fast and with grace, she also has a white powdery makeup on her face, some tourists are taking her photo too, would she be IT?! At first Mike and I thought so, but eventually realized that she may not be a real one. 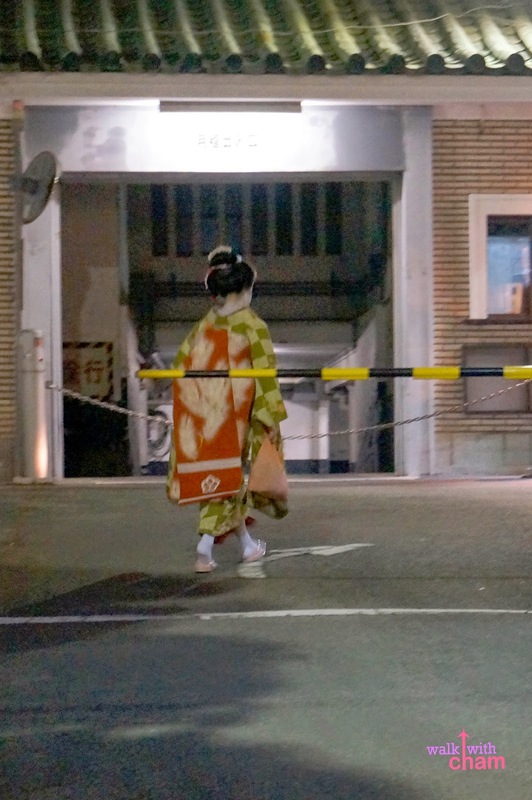 After a while I remembered reading in an article that to be able to see an authentic Geiko try looking for a black car which is their usual service going to their appointment. And then suddenly a black car approached our way and there I saw one of the most beautiful Japanese women I've ever seen (Kinda reminded me of Zhang Ziyi from the movie Memoirs of a Geisha), Mike and I were in awe, so stunned that we almost forgot to take a photo of her. I struggled to catch the black car and this is what the shot looked like. Snapshot Number 5: We saw a group of tourists running after a petite woman, so we joined the group and ran after her as well, gasp when I saw her back! A Geiko?! Maiko?! Whatever! I was just chasing her! And in fairness to her, she was just walking but she walked really fast, we couldn't catch up! Almost all my shots were blurred! At last I had a semi clear shot (my last shot) before she totally disappeared. the most decent photo I took! But at least we saw two! Wooohooo!!! #Bucketlist: Look for a real Geisha/Geiko/Maiko- check! 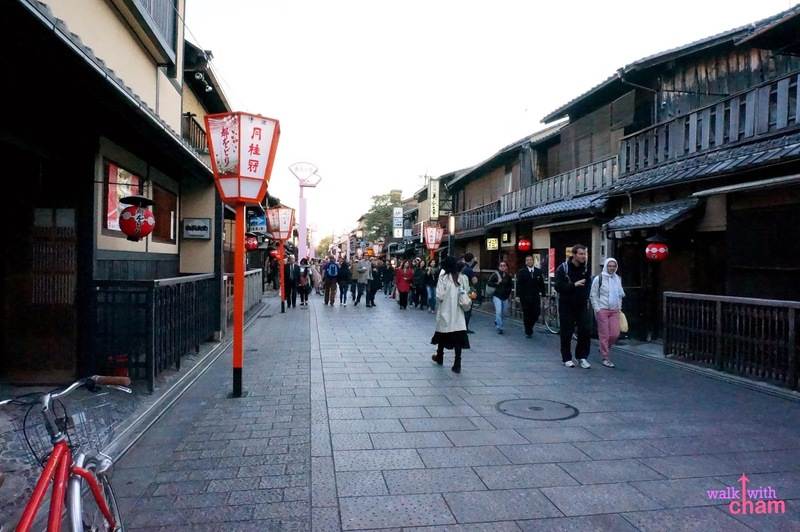 Gion will always be a memorable place for me in Kyoto and if ever I will be given a chance to come back, I will still visit Hanami Koji and spot a Geisha.